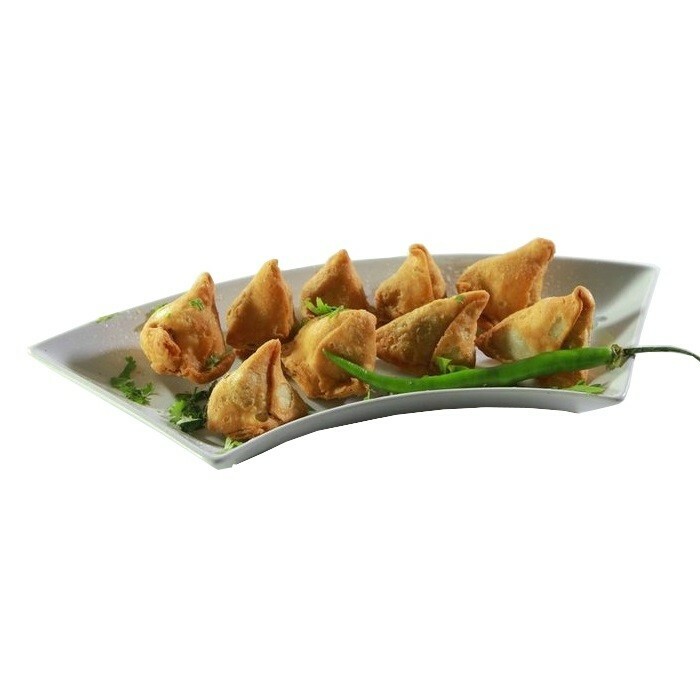 Buy Dry Samosa of Jagdish Farshan from Vadodara online | Authentic Indian Sweet , Savories and Delicacies from the place they originate by Moipot. Move over from those routine snacks and try some dry samosas this season. Perfectly deep-fried, spicy and crispy triangles, the dry samosas by Jagdish Farshan are prepared using a dry mixture of Bengal gram flour (chickpea flour/besan), peanuts, cashew (kaju), dry grapes (raisins/kishmish) and various other choices of masalas. This delish is light and tasty to satisfy your hunger cravings and its delectable filling is simply irresistible!